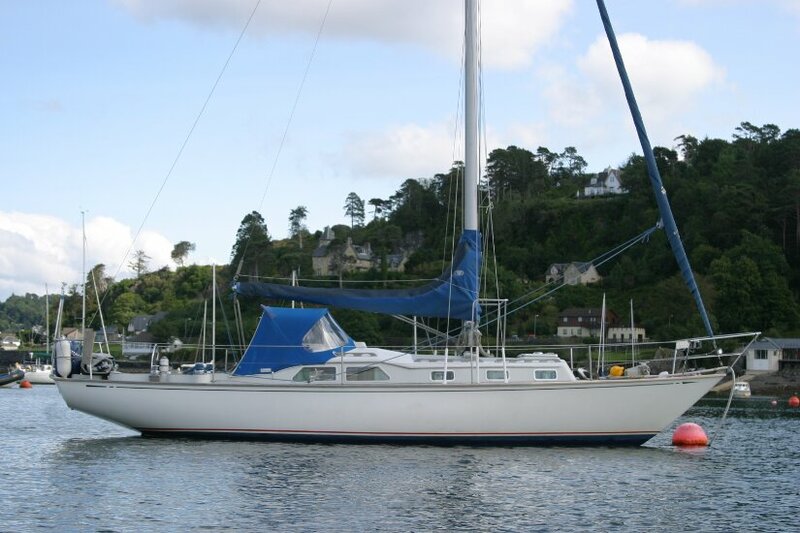 A classic GRP sailing yacht. 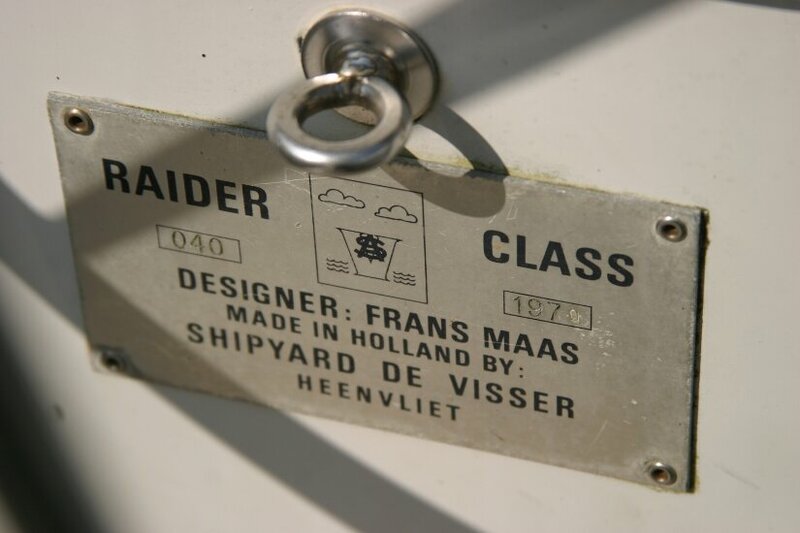 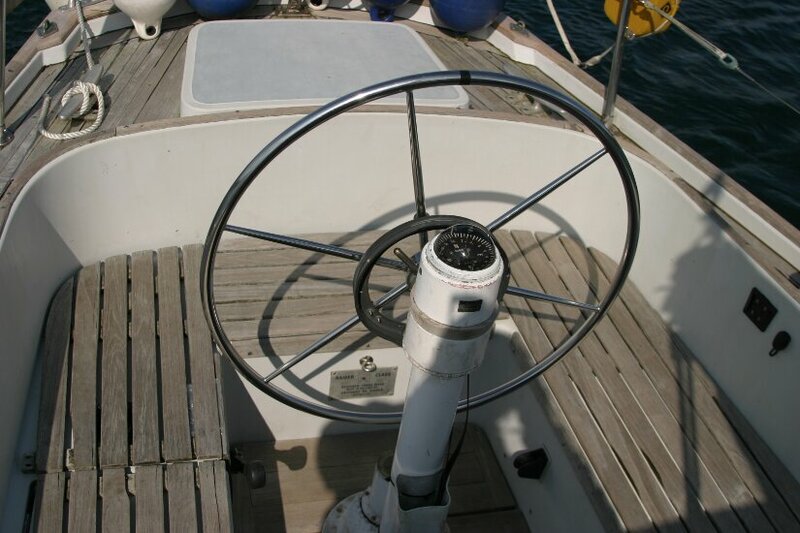 She was designed as a One Ton Cup Racer by Frans Maas and built in the Netherlands at the DeVisser Boatyard. 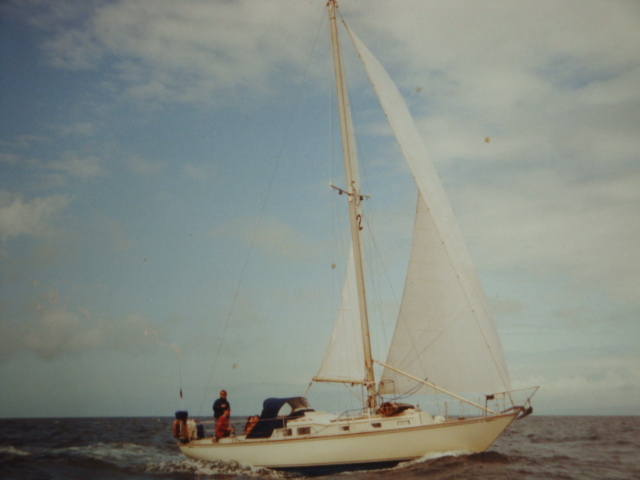 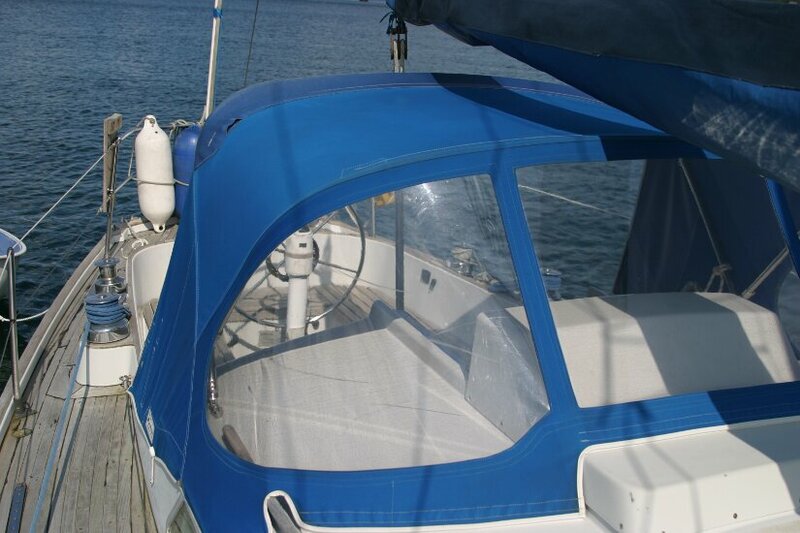 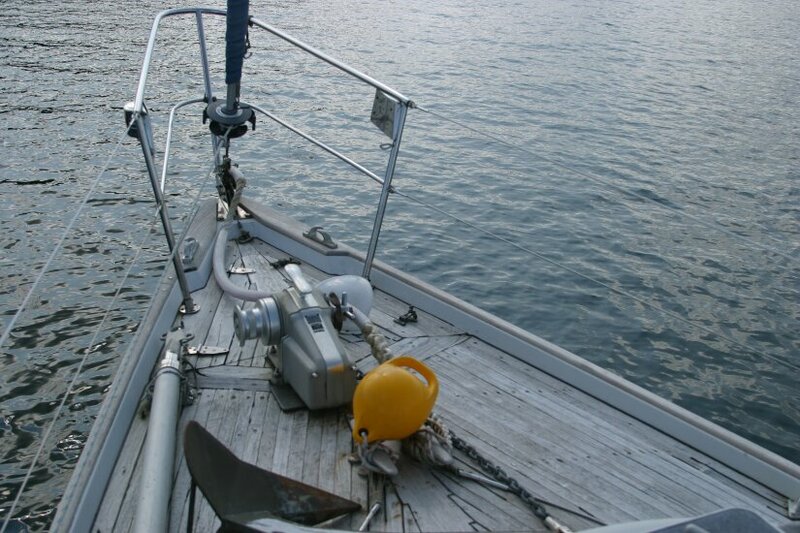 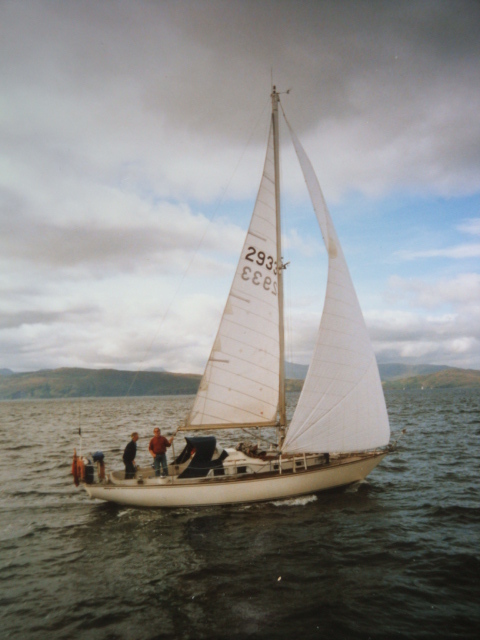 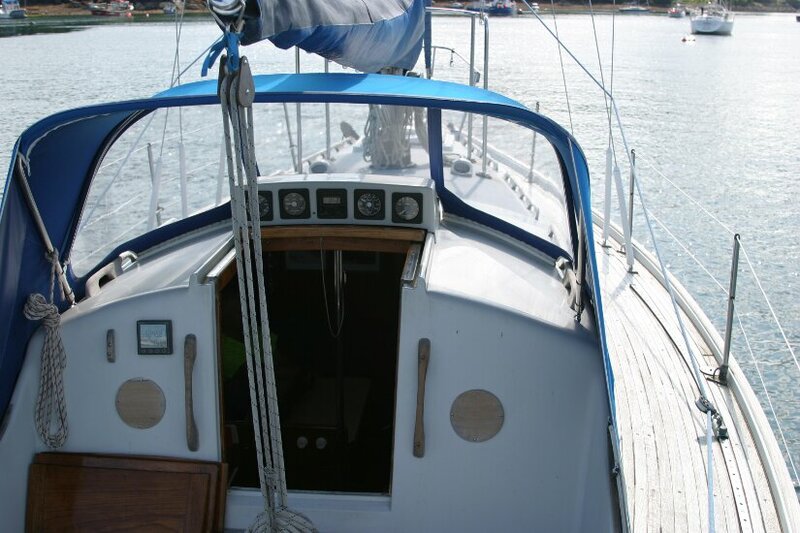 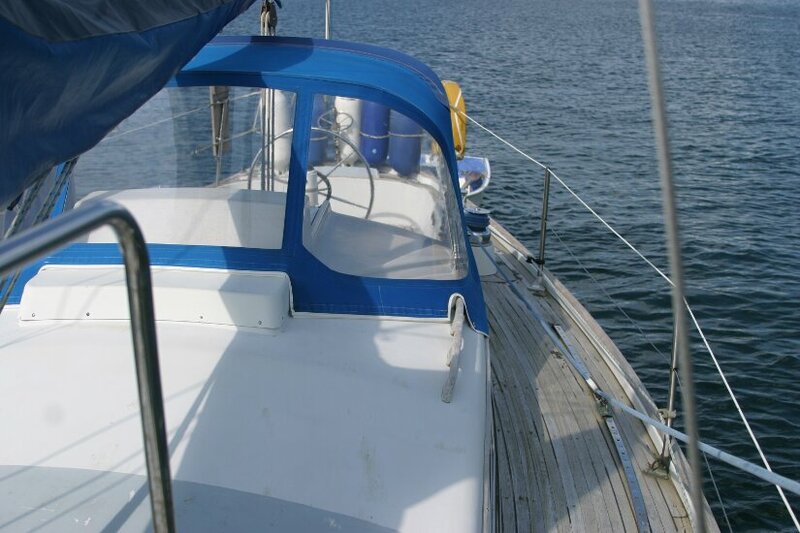 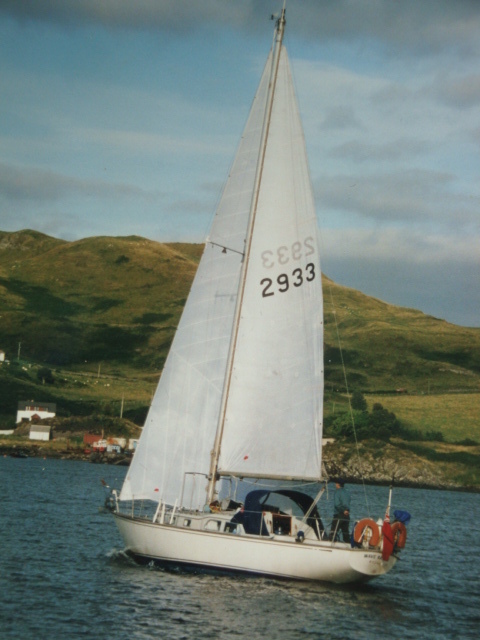 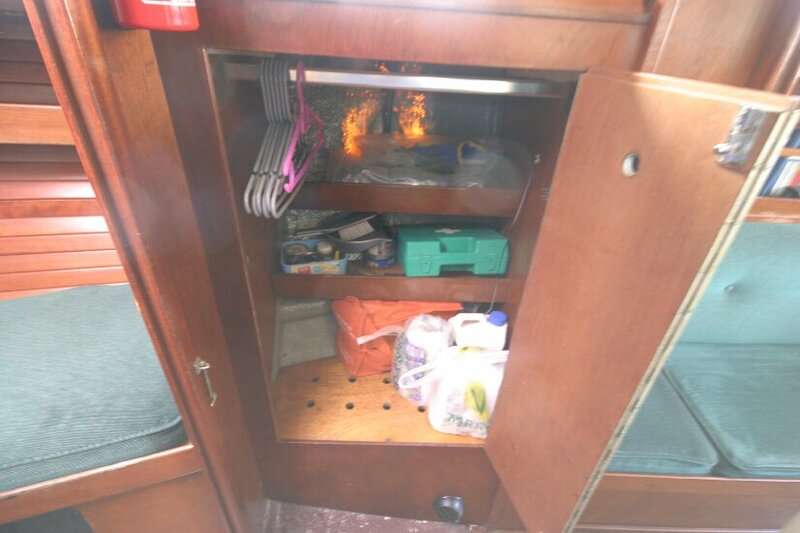 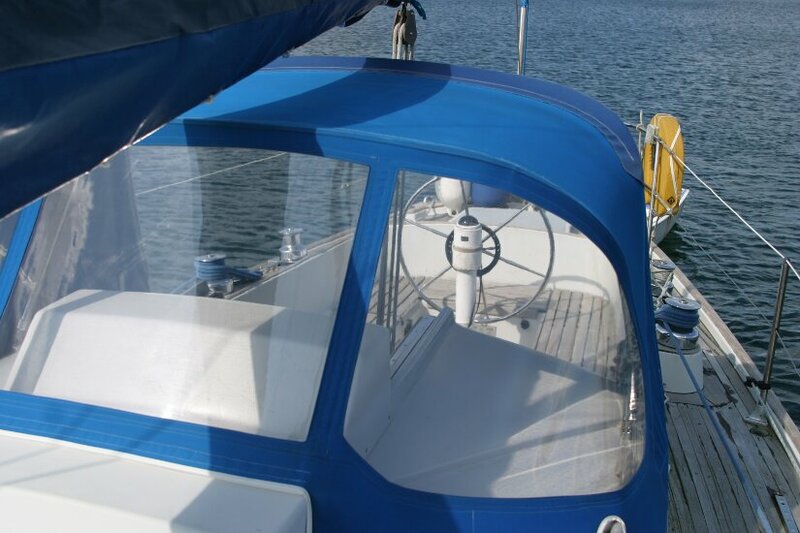 These boats turned out to be solidly built and very capable cruisers and the current owners, since they bought her, have taken her all over the West Coast of Scotland as far as Rockall, the North and West coasts of Ireland, finding her to be a substantial, safe, seaworthy yacht, with good sailing performance, a ballast ratio of 48%, cruising economically under power up to 6 knots and 7 to 8 knots under sail. 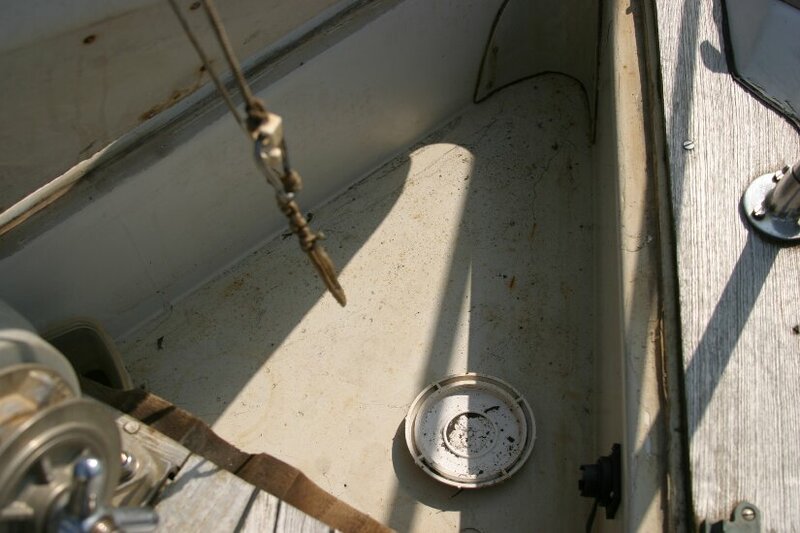 She was last surveyed in spring 2012 with nothing major coming to light. 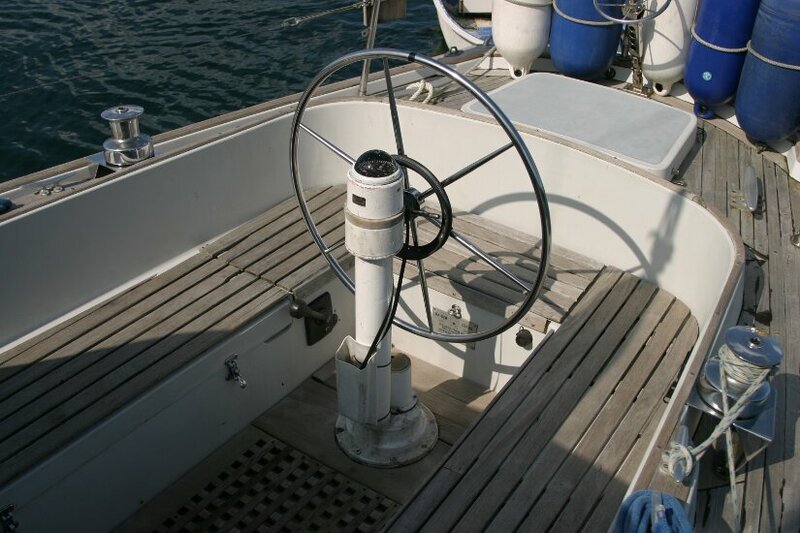 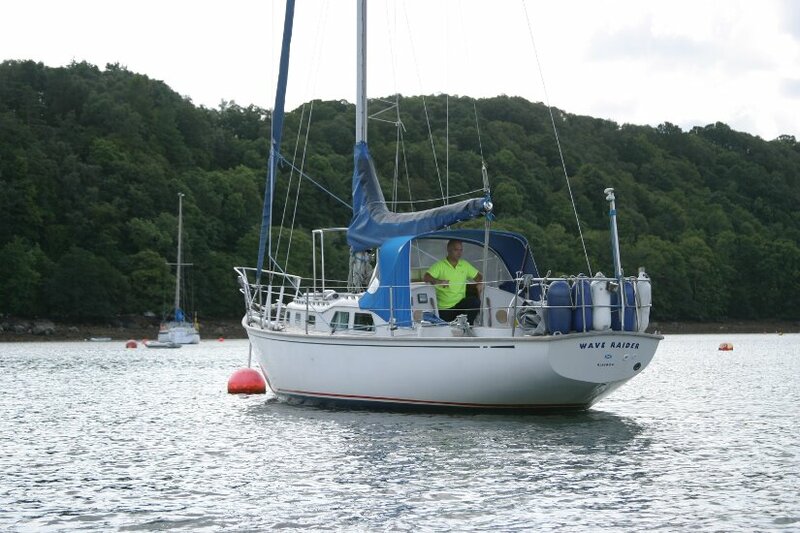 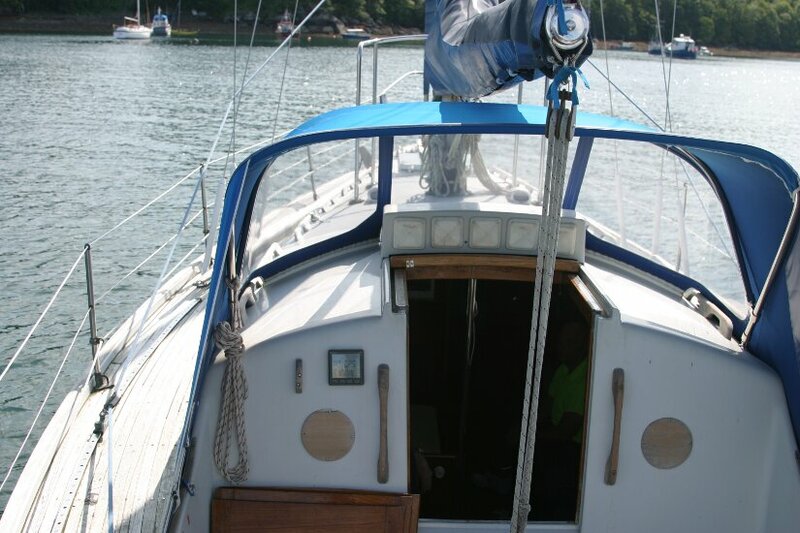 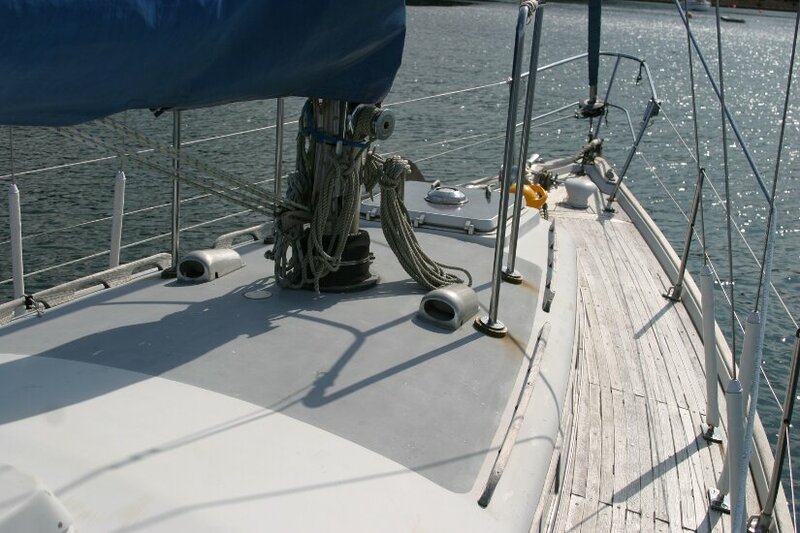 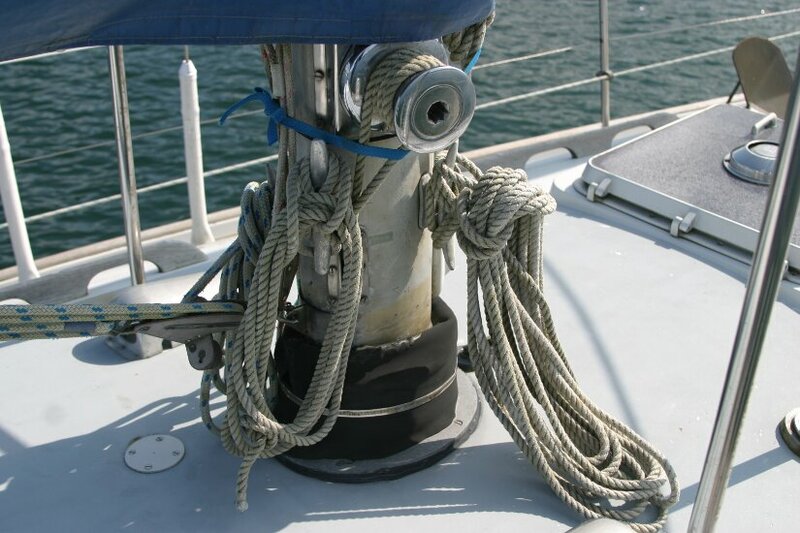 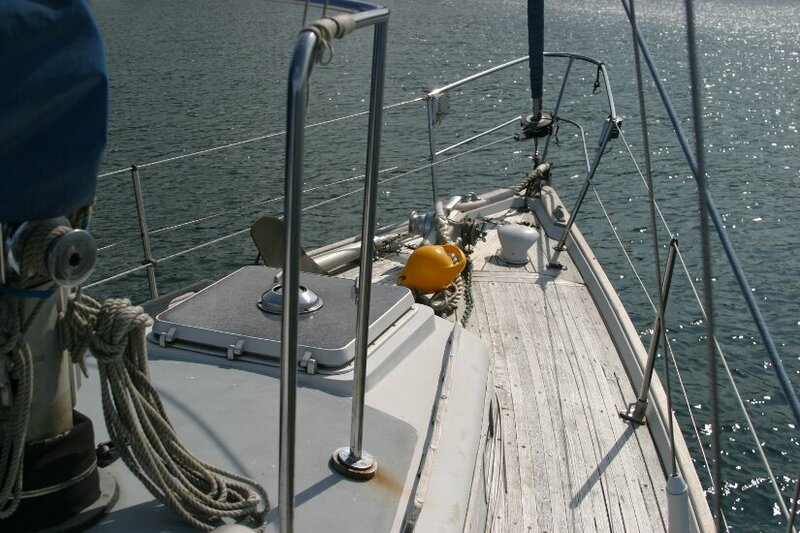 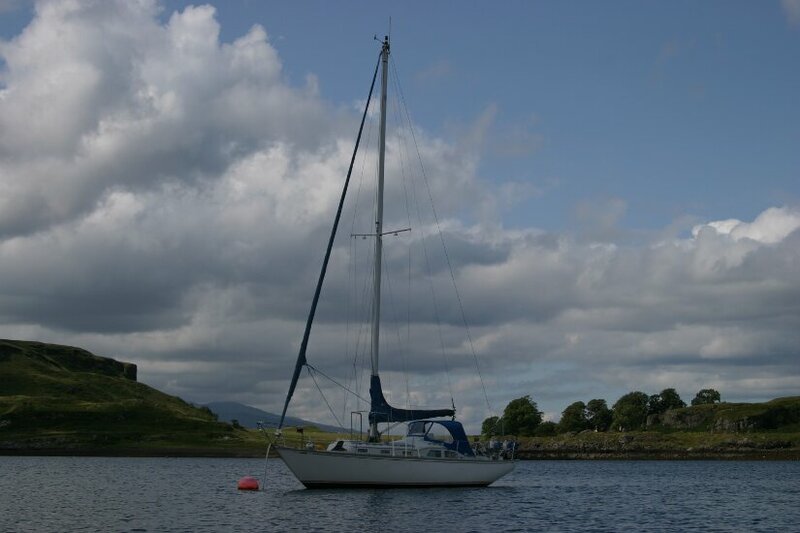 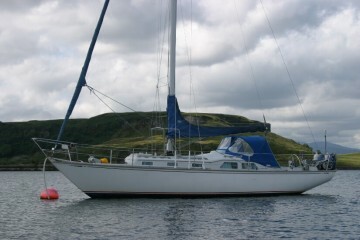 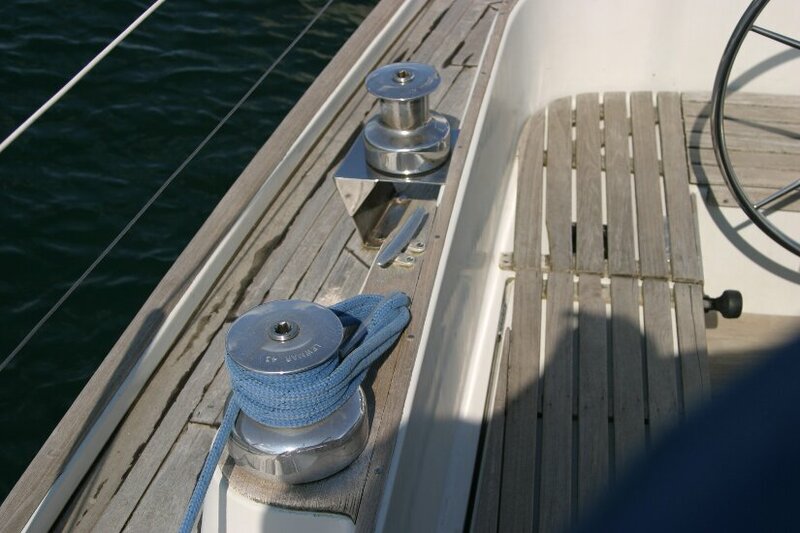 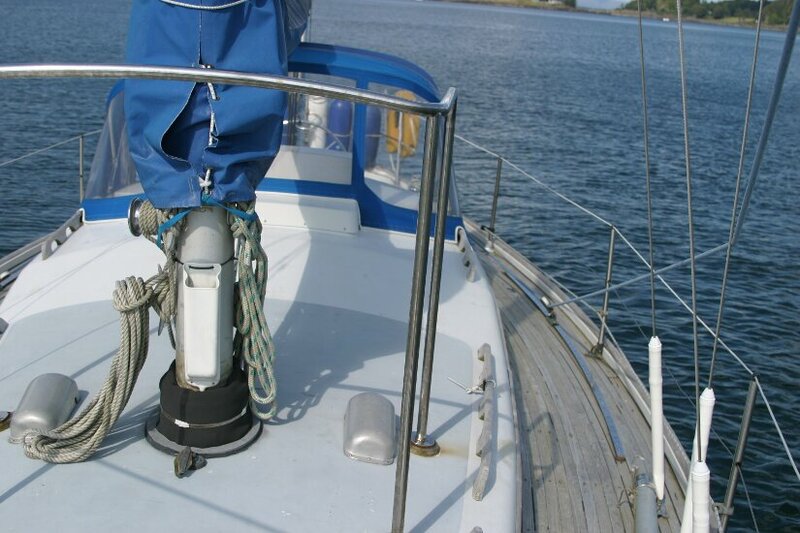 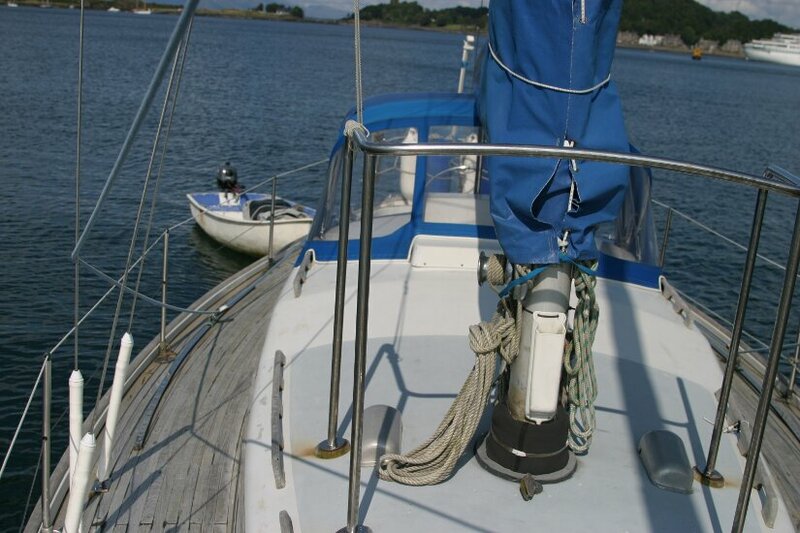 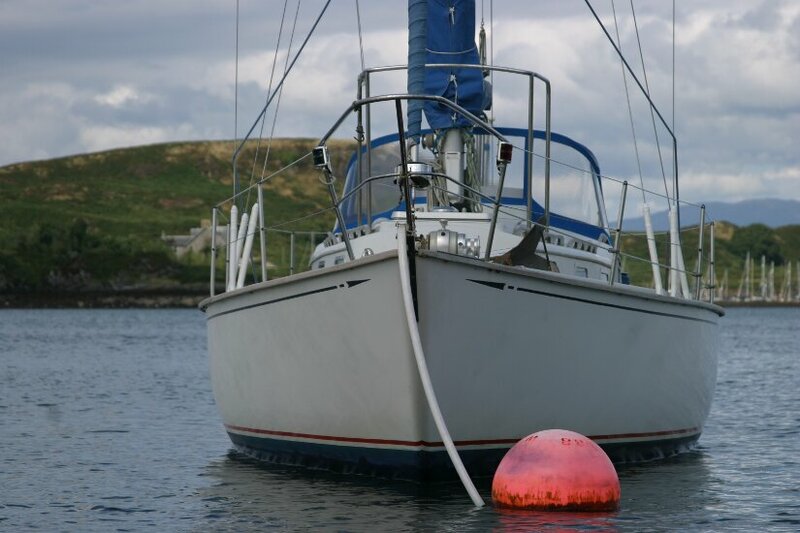 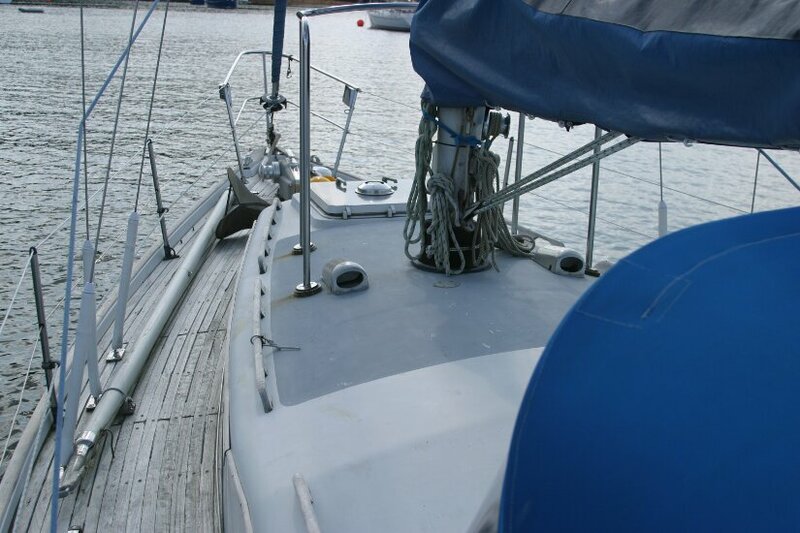 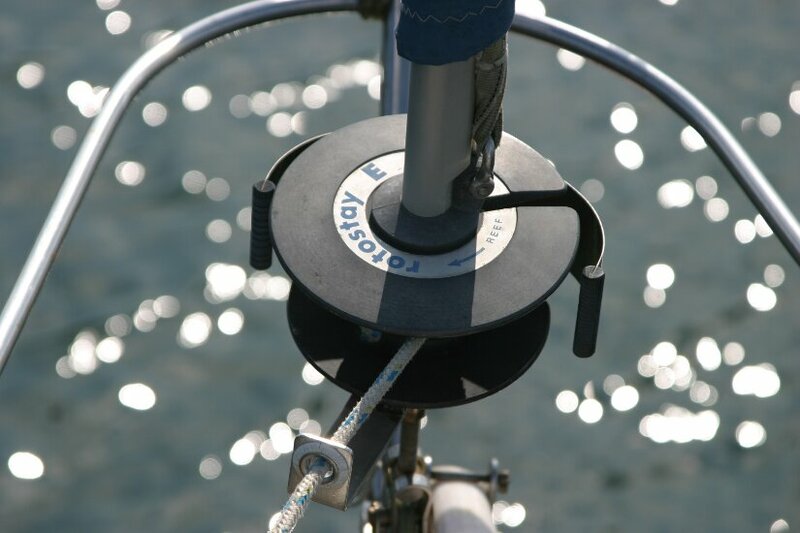 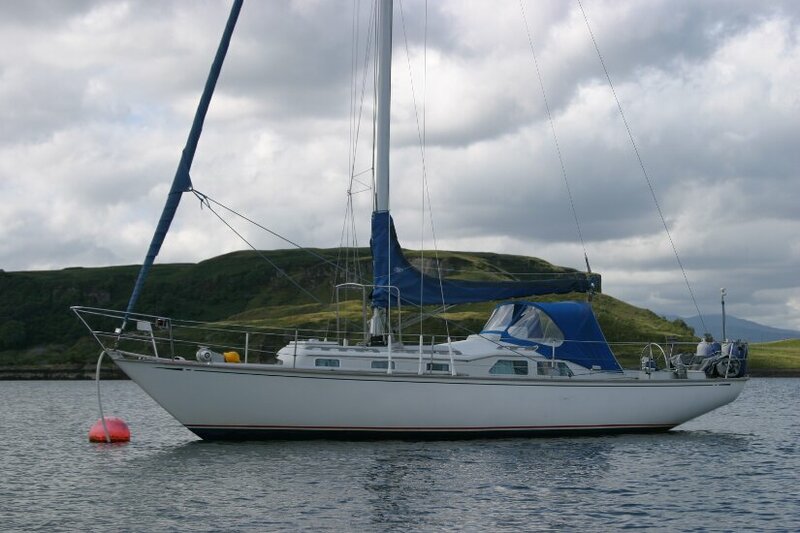 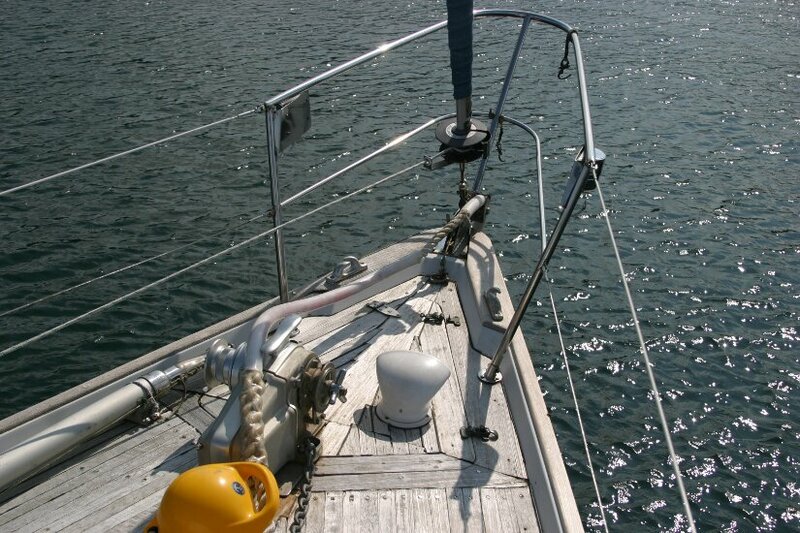 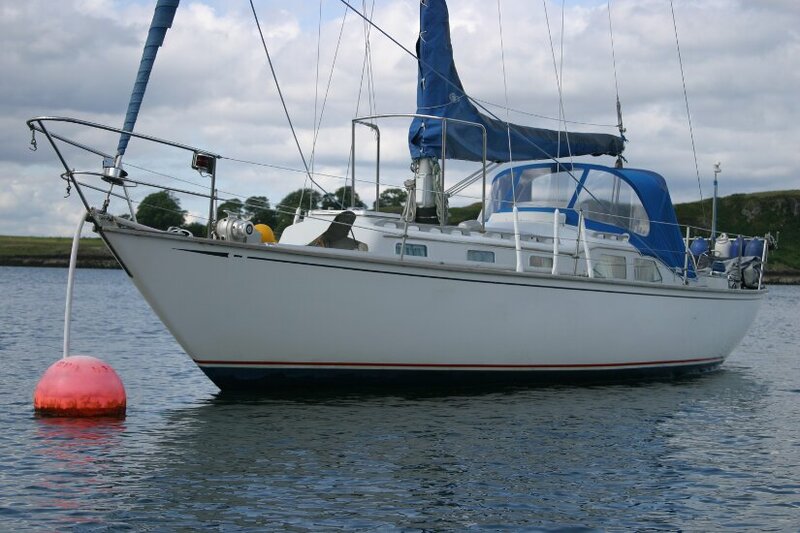 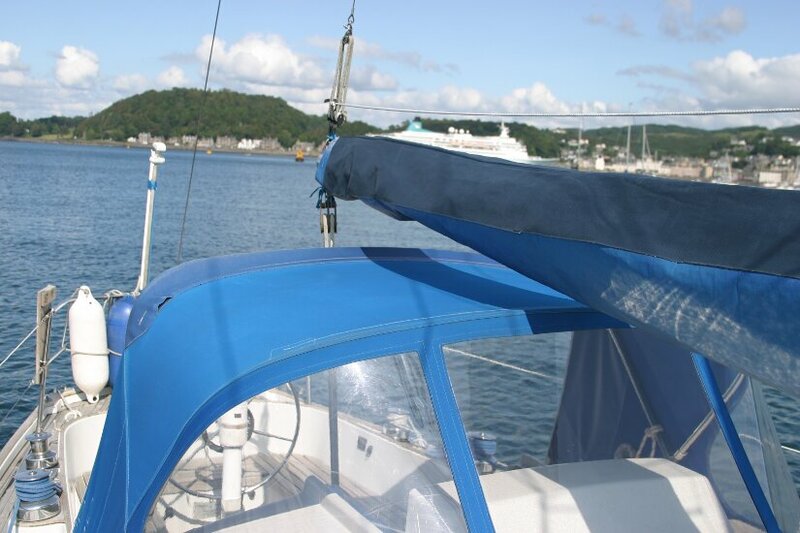 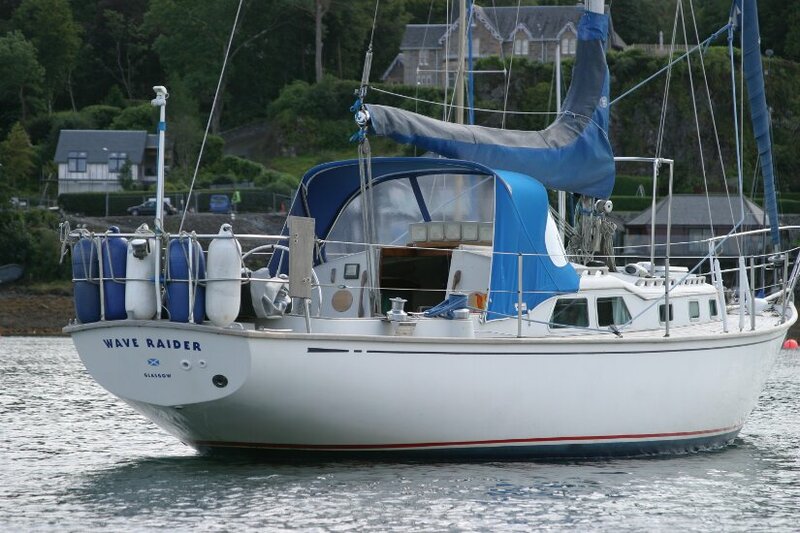 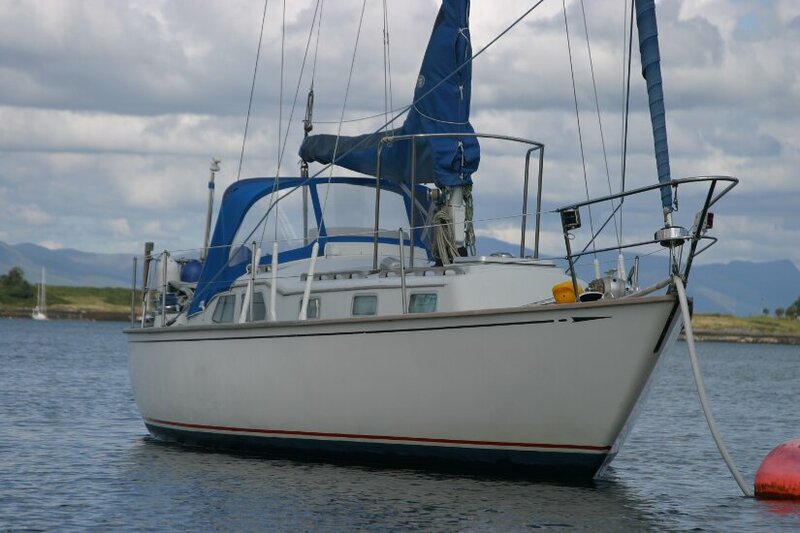 As the owners are now retiring from sailing, her mooring in Oban Bay is available by separate negotiation. 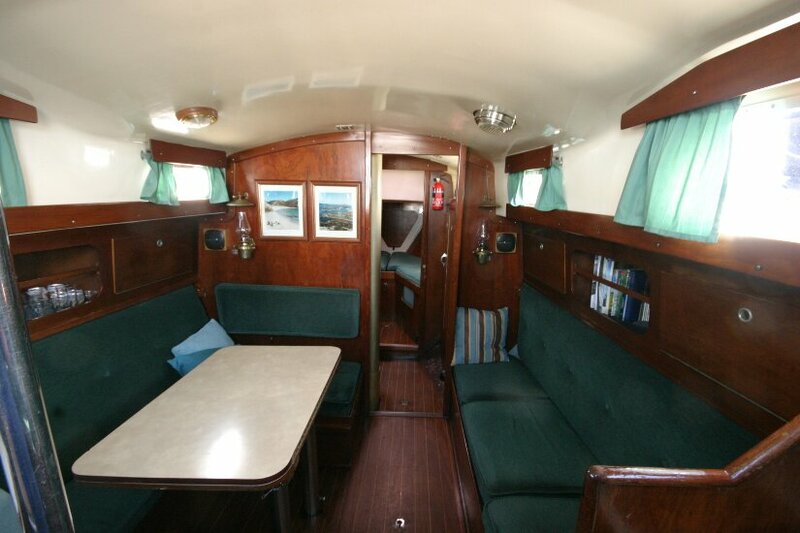 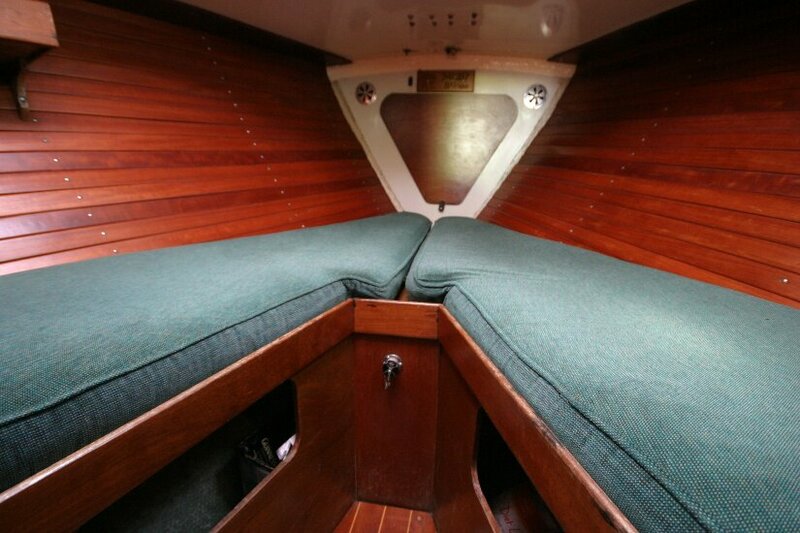 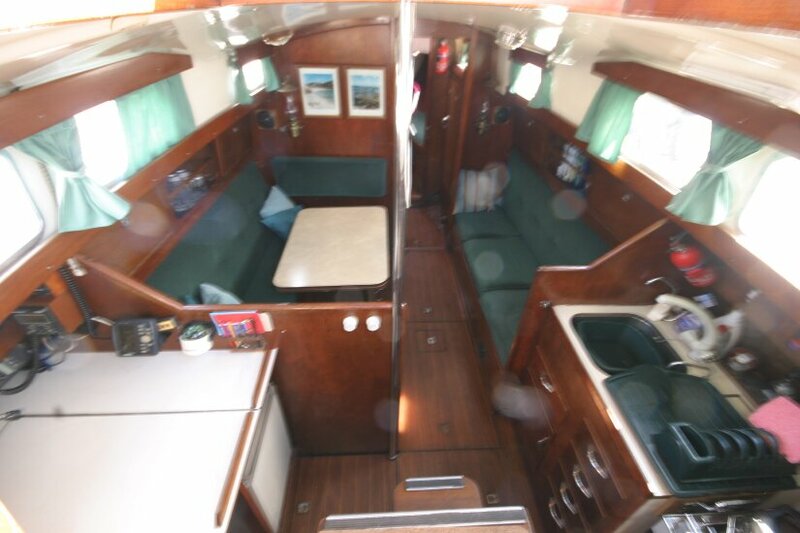 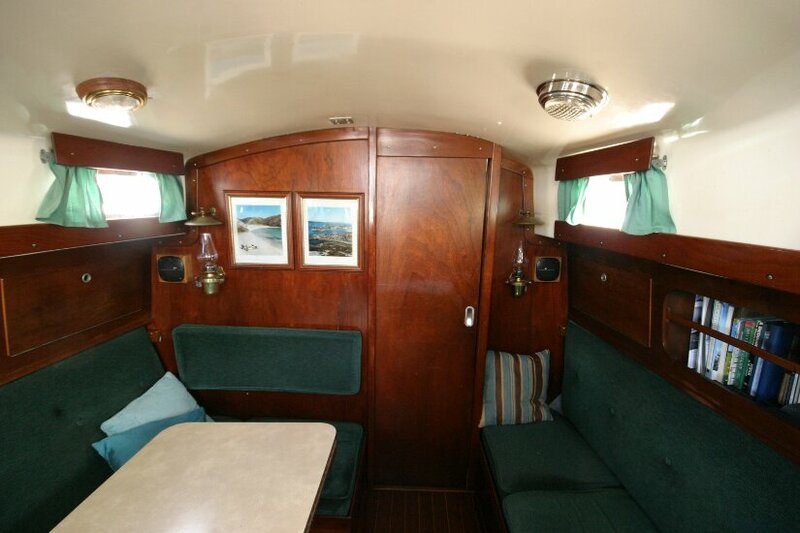 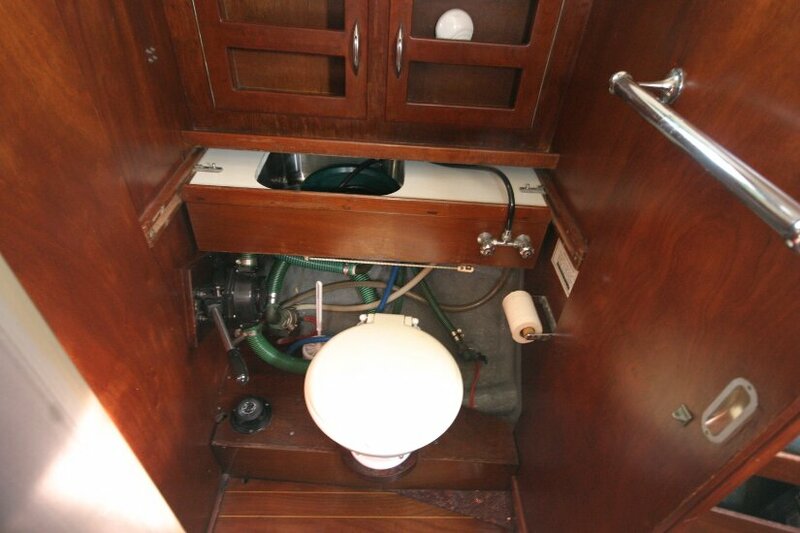 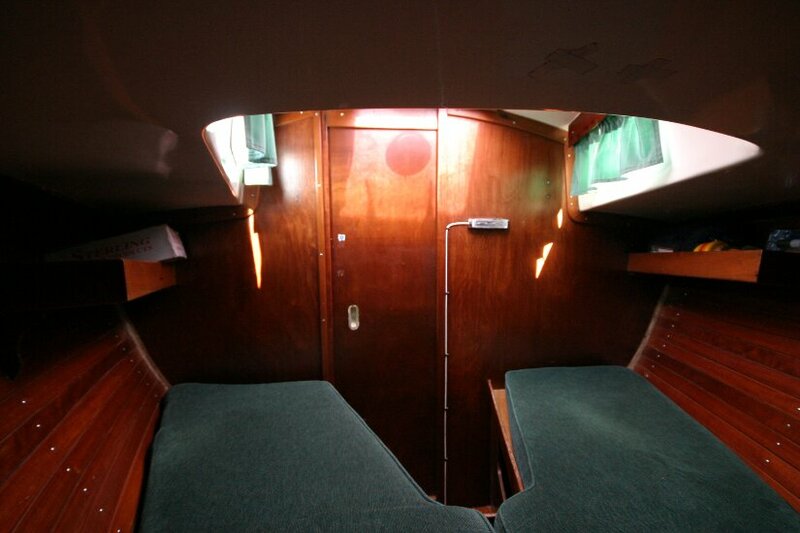 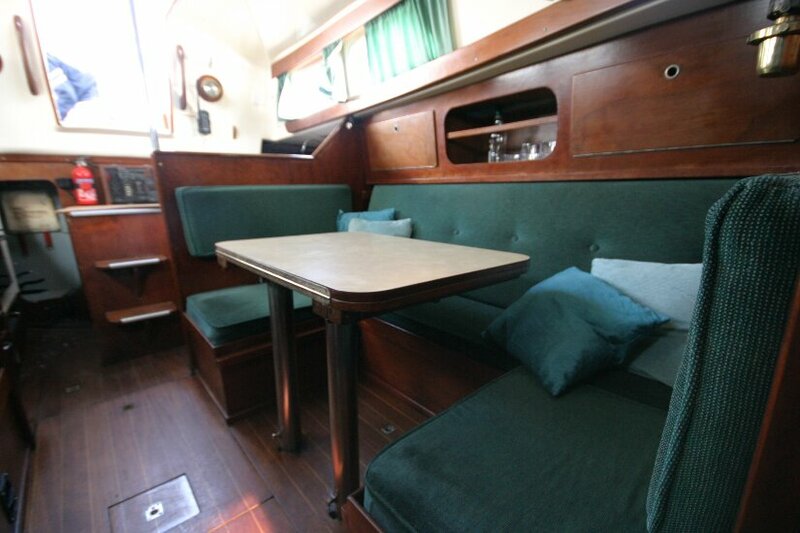 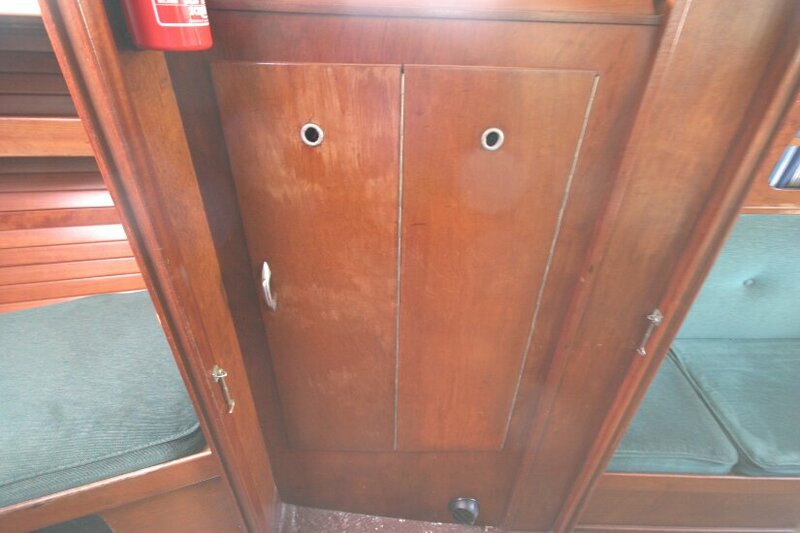 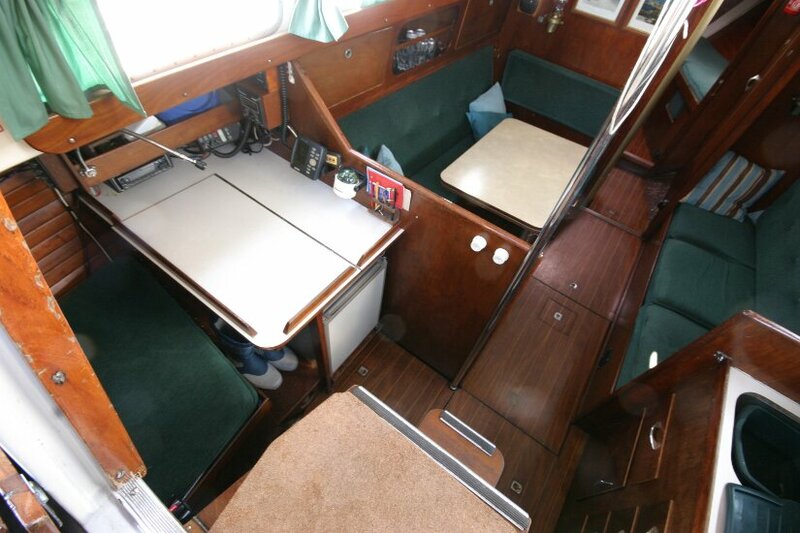 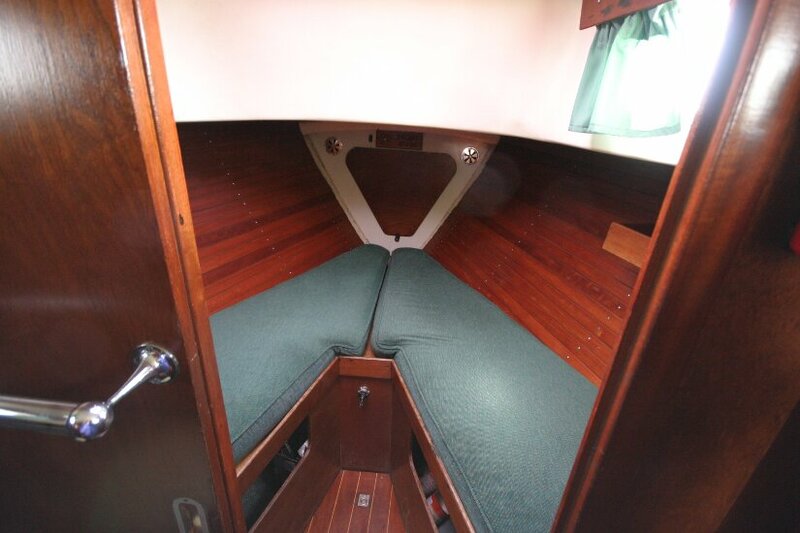 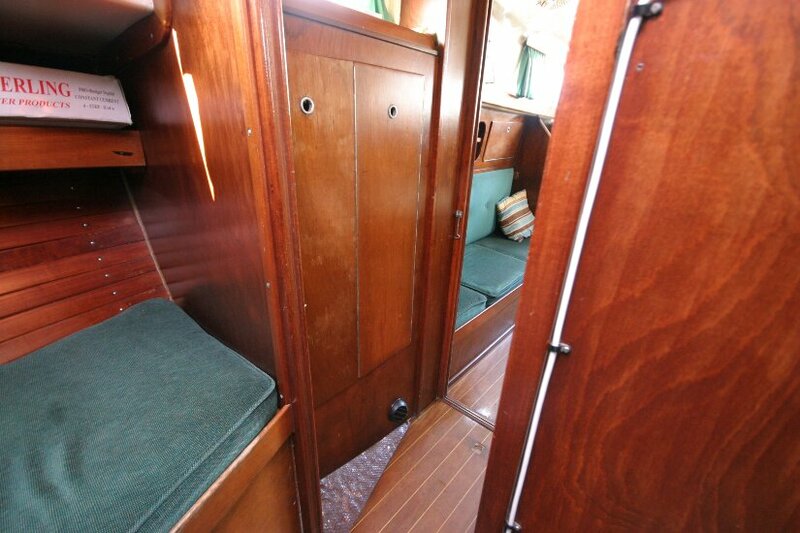 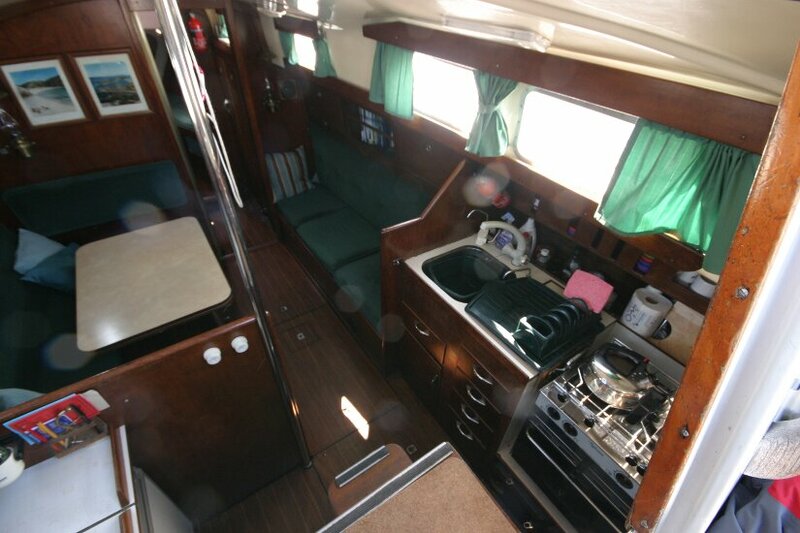 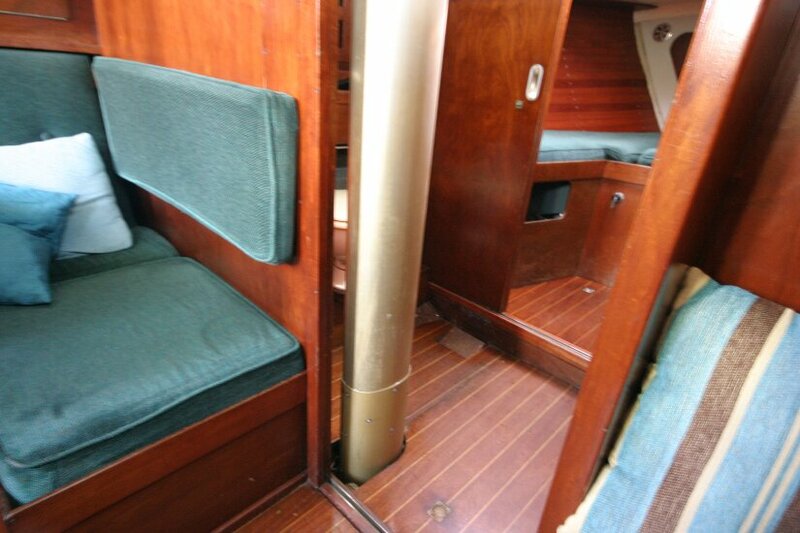 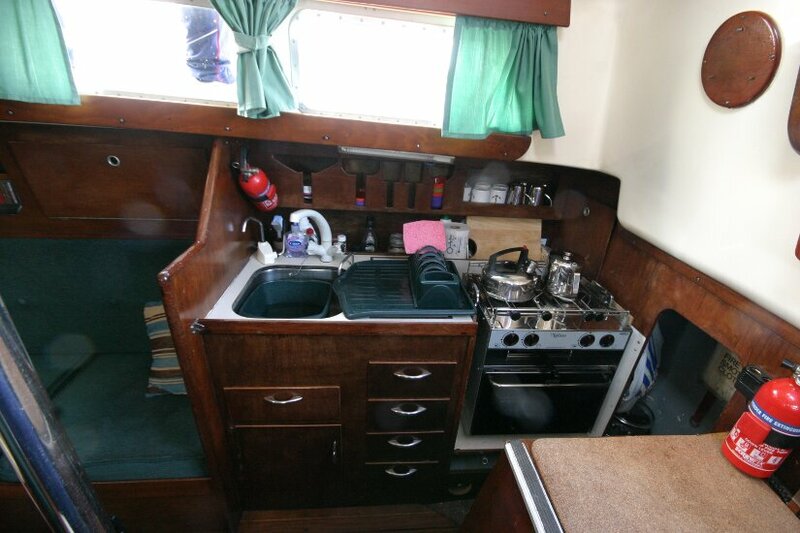 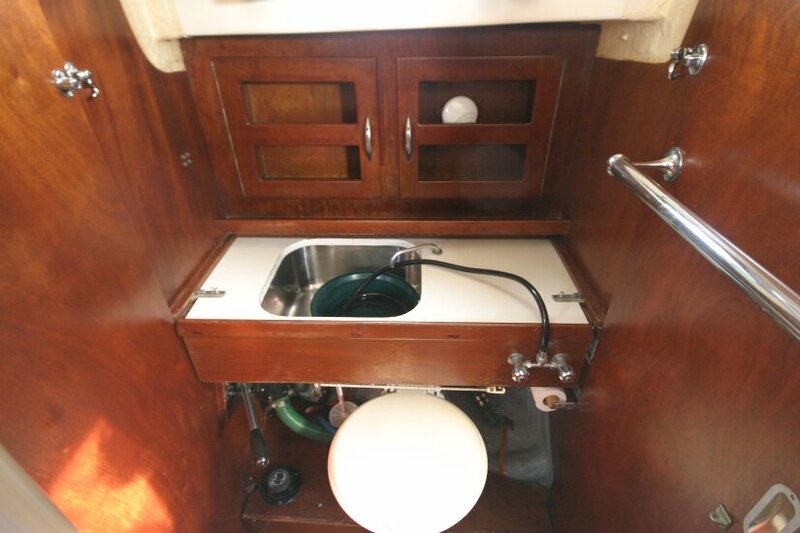 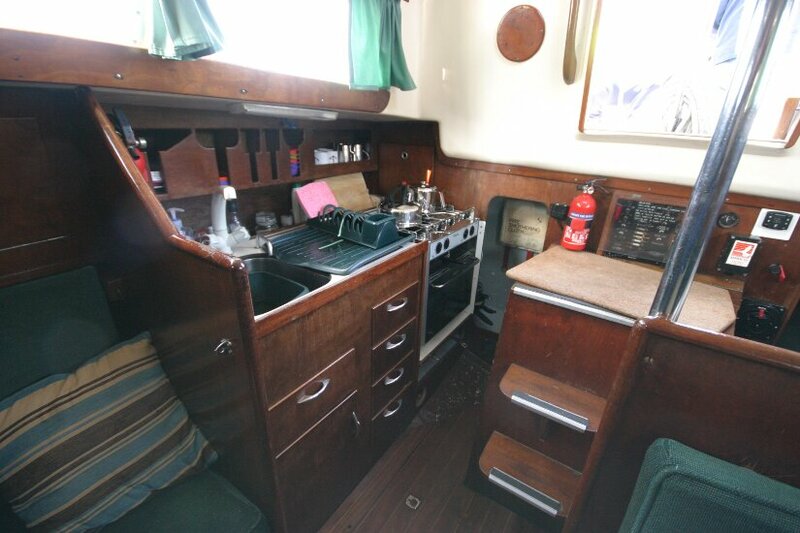 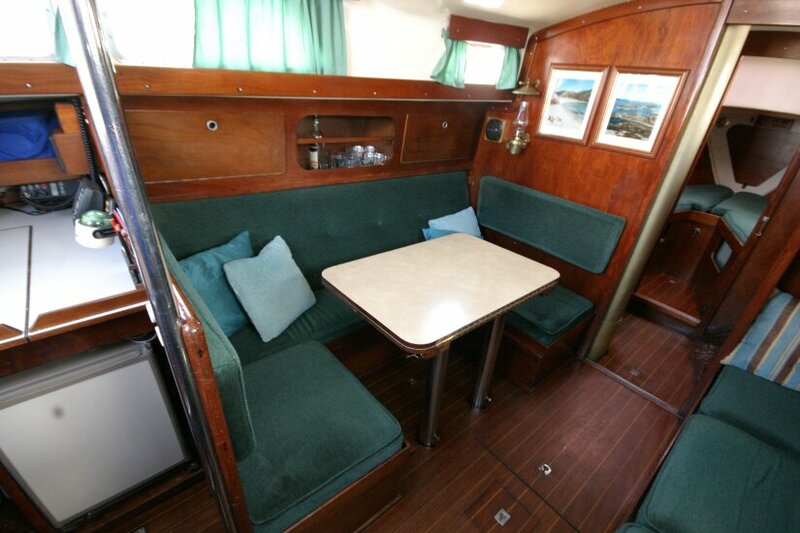 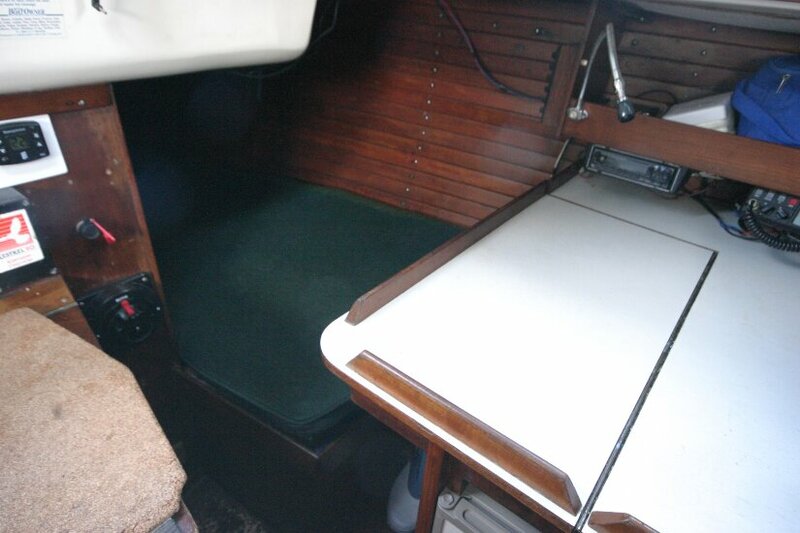 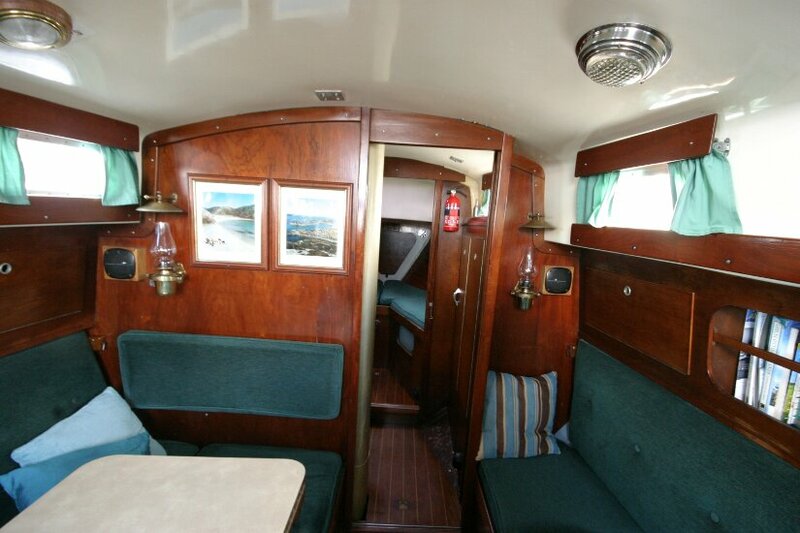 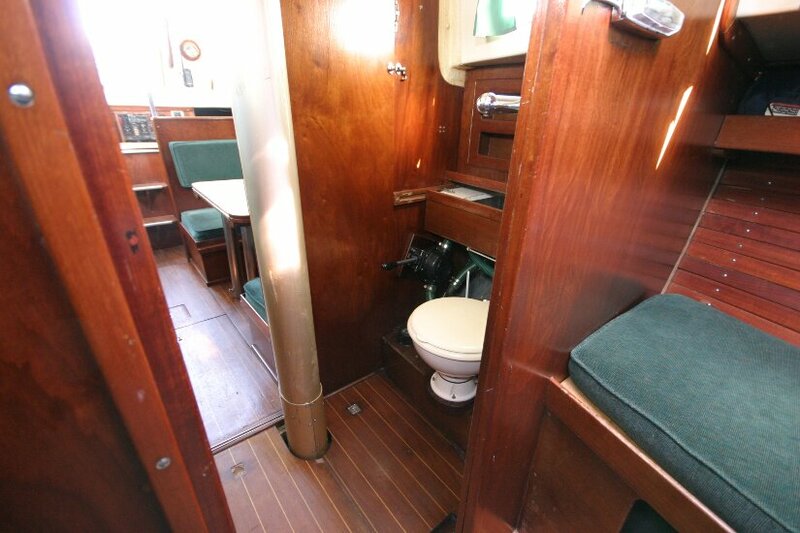 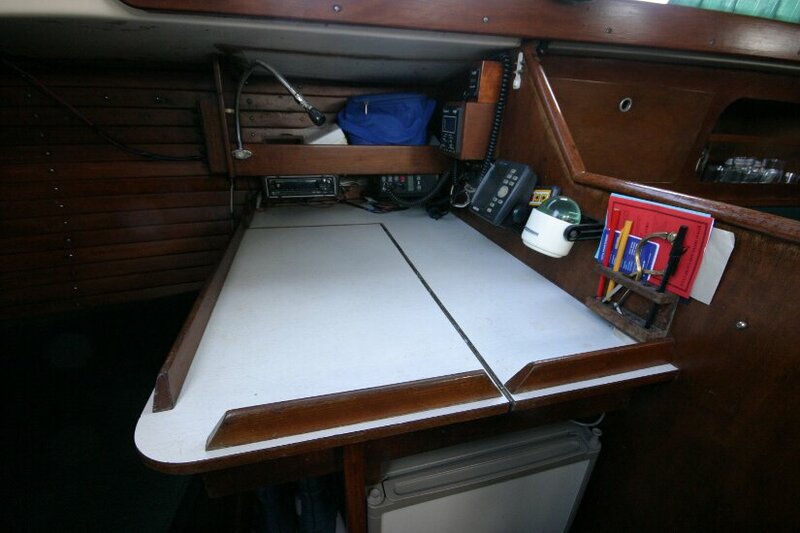 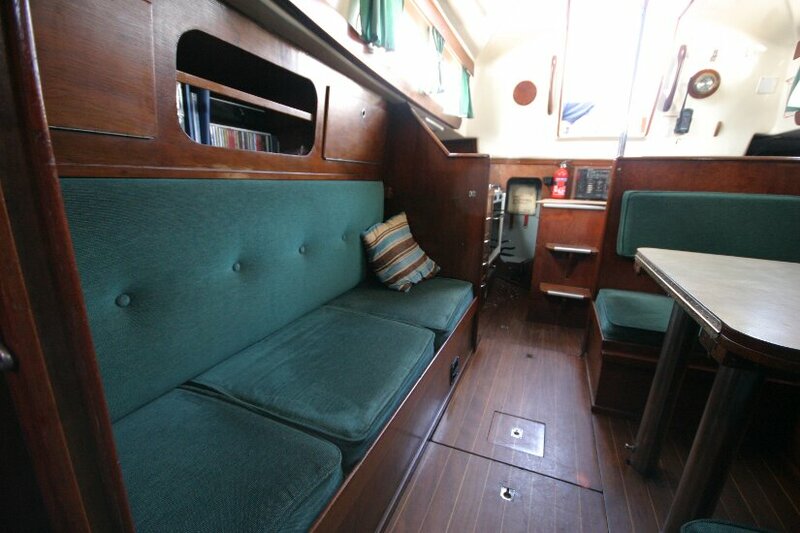 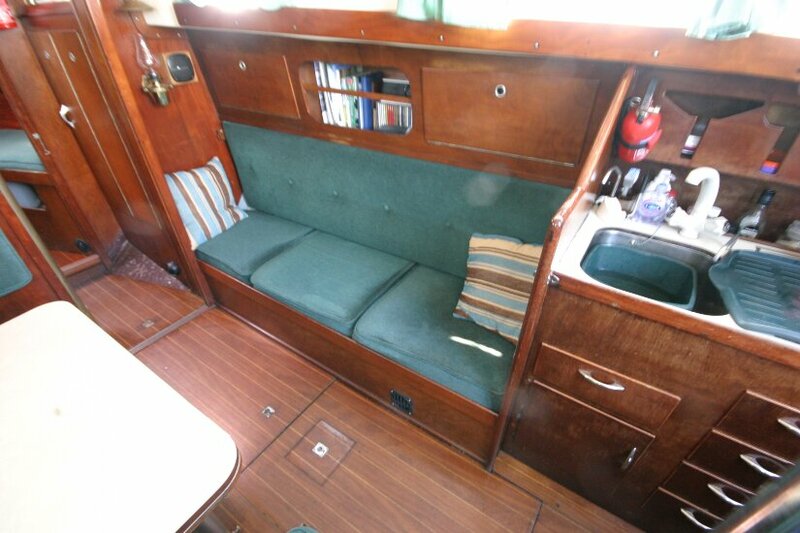 Saloon with double, single and quarter berth, forward cabin V berth.Heads compartment. 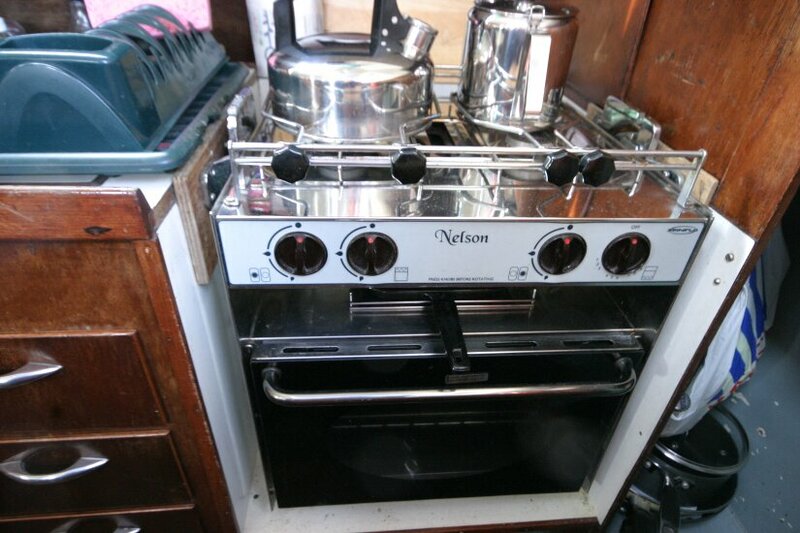 Cooker with two burners, grill and oven. 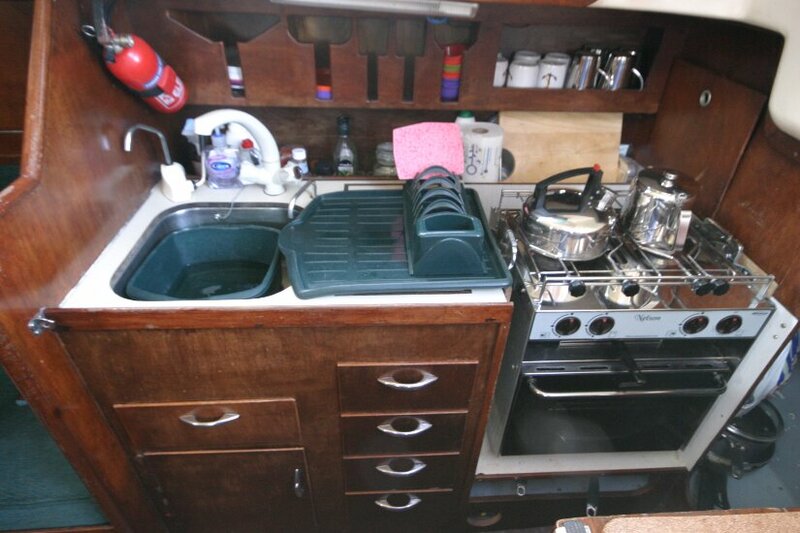 Stainless sink with pressurised hot and cold water. 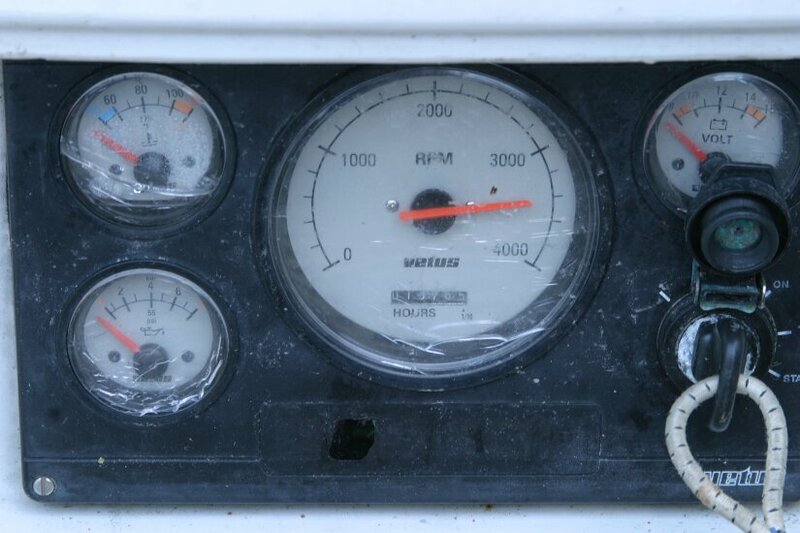 Fridge running on gas or 12 volts. 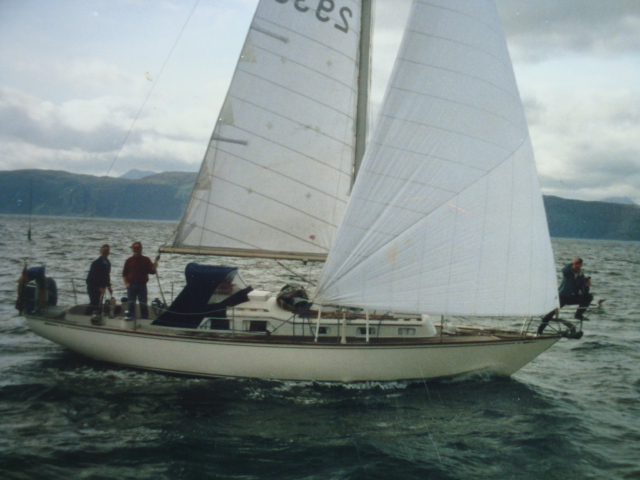 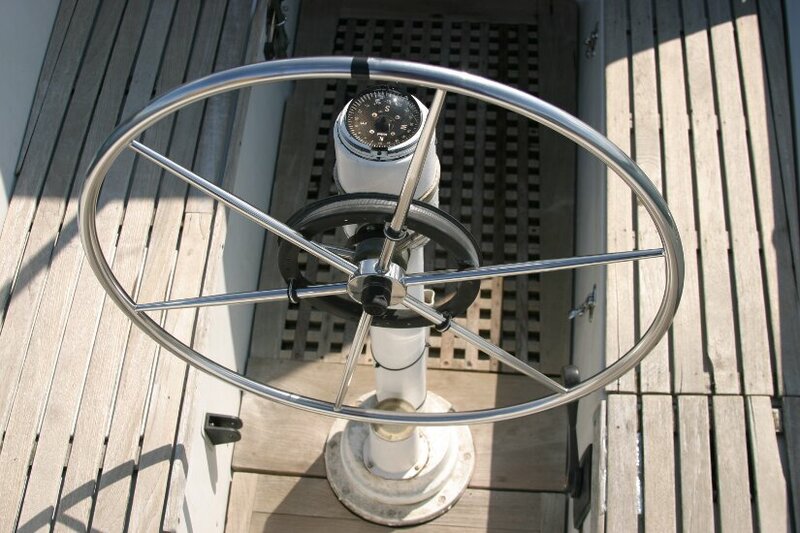 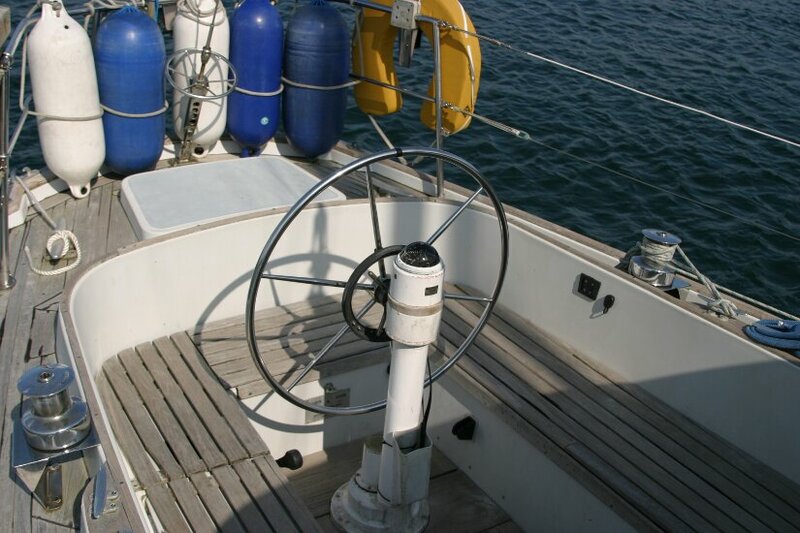 Furling Genoa by Owens Sails, 1997. 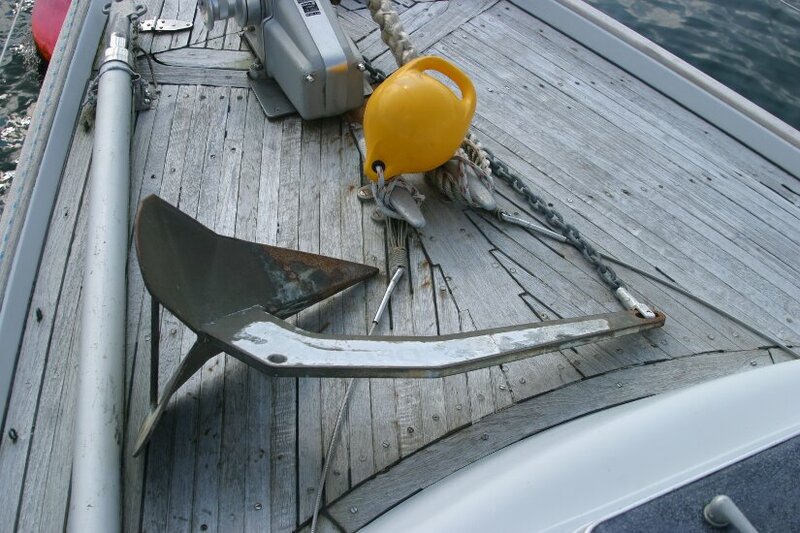 Main and Spinnaker. 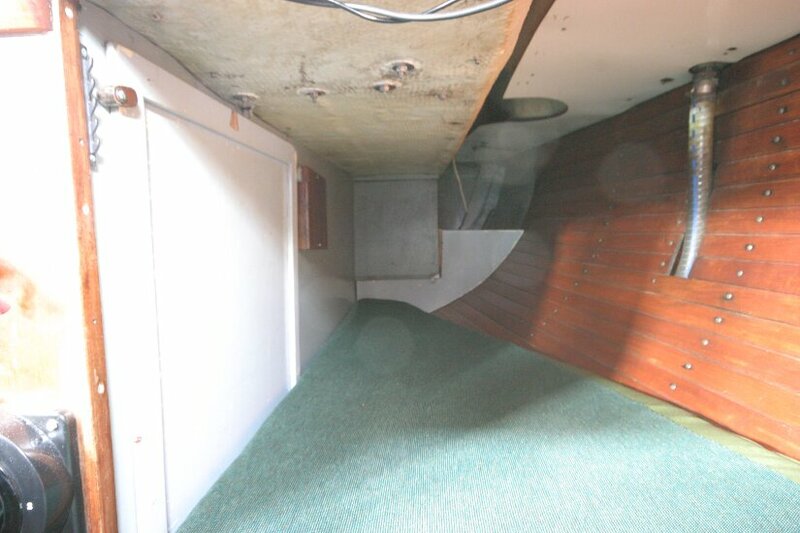 All in good condition. 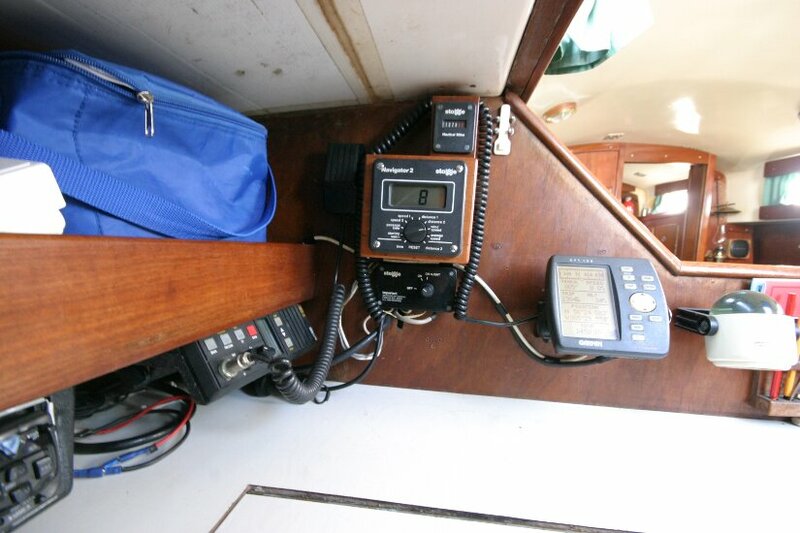 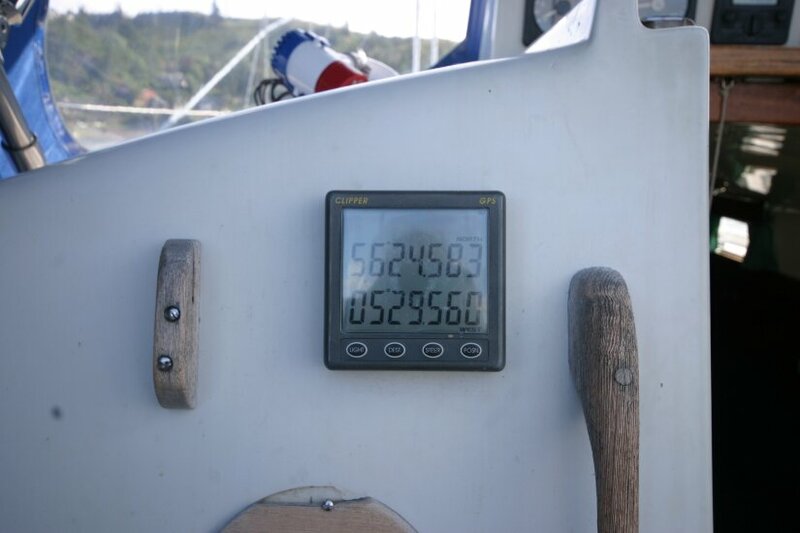 Stowe log, wind speed/direction, echo sounder, Garmin GPS and repeater. 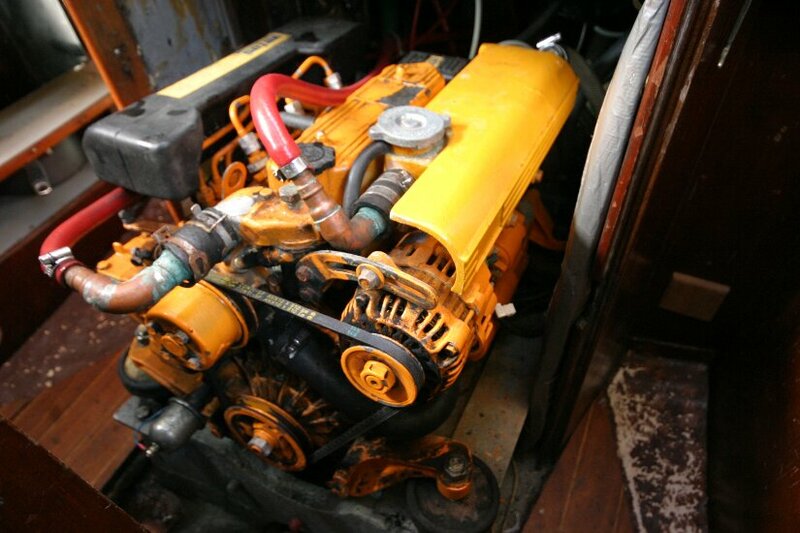 12 volt starter and domestic batteries. 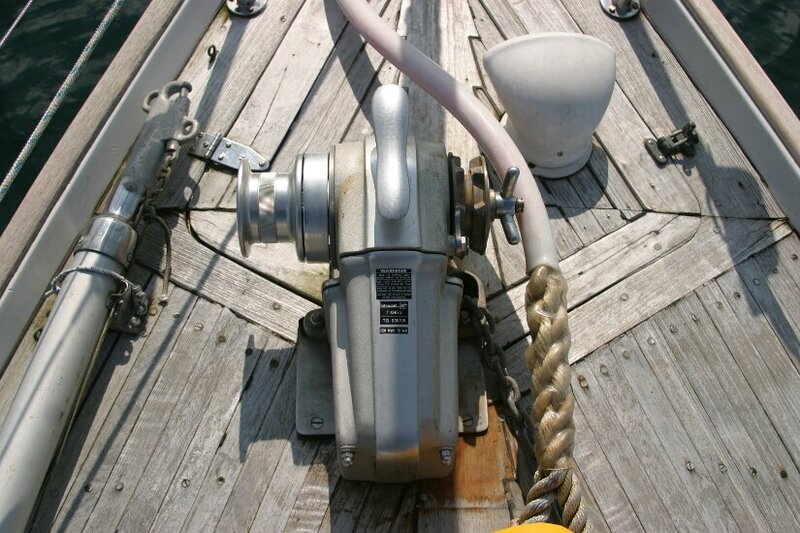 Shore power connection. 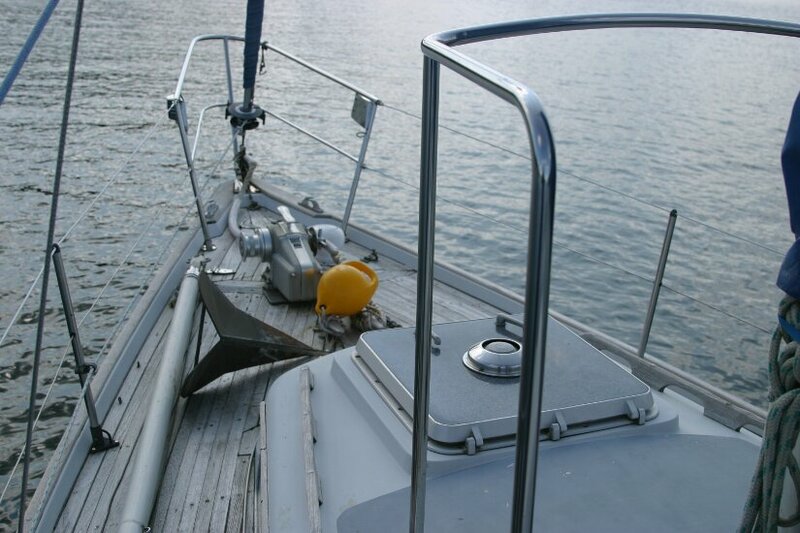 Inflatable dinghy with 2.5 HP Yamaha outboard. 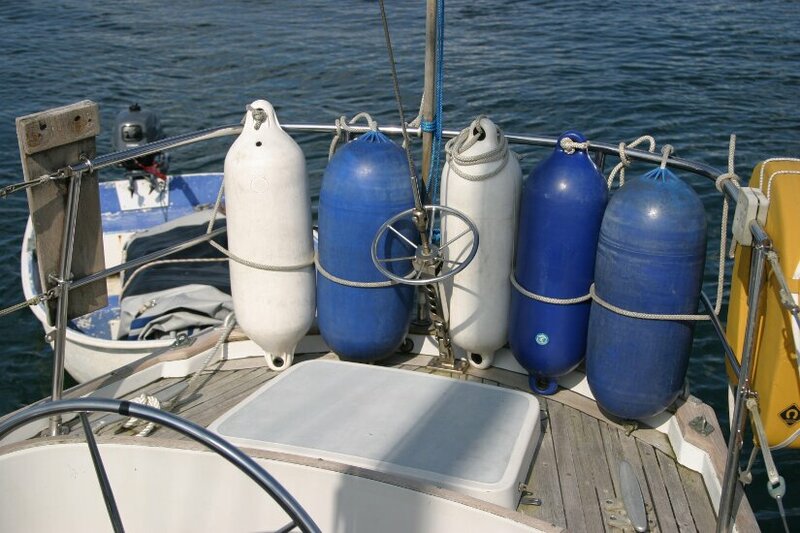 Lifejackets. 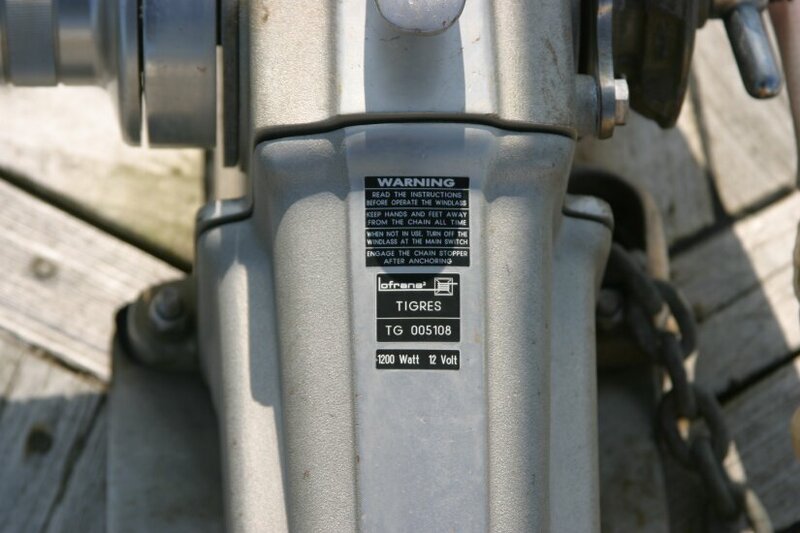 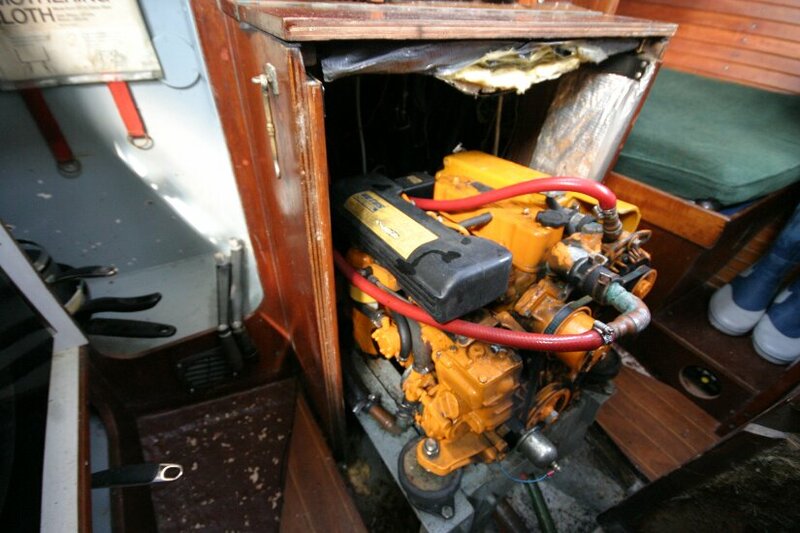 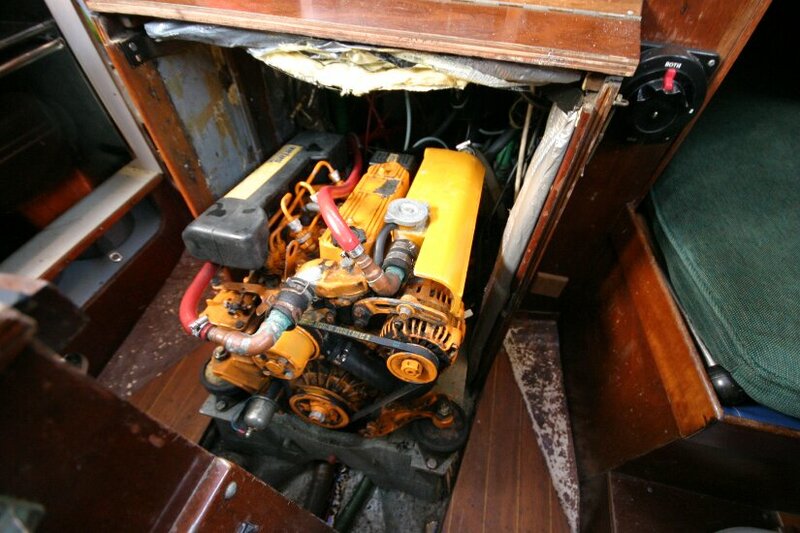 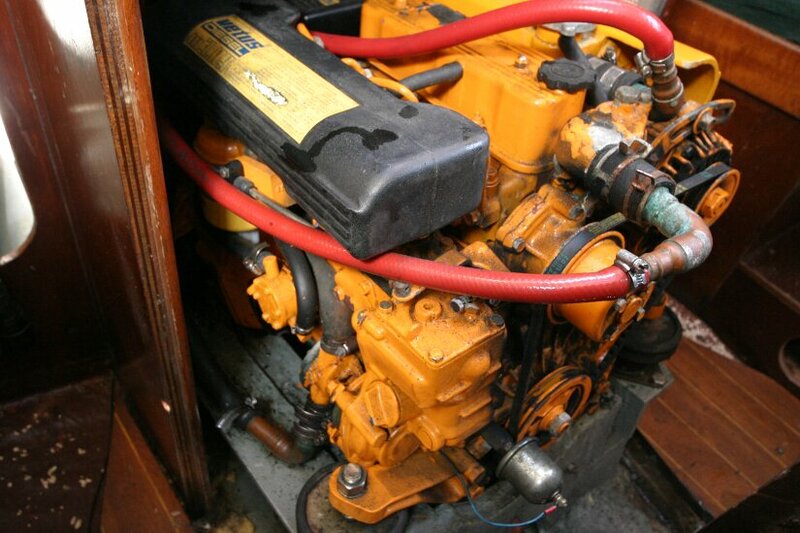 The Vetus Diesel engine was installed new in 2004 and has done only 1300 hours. 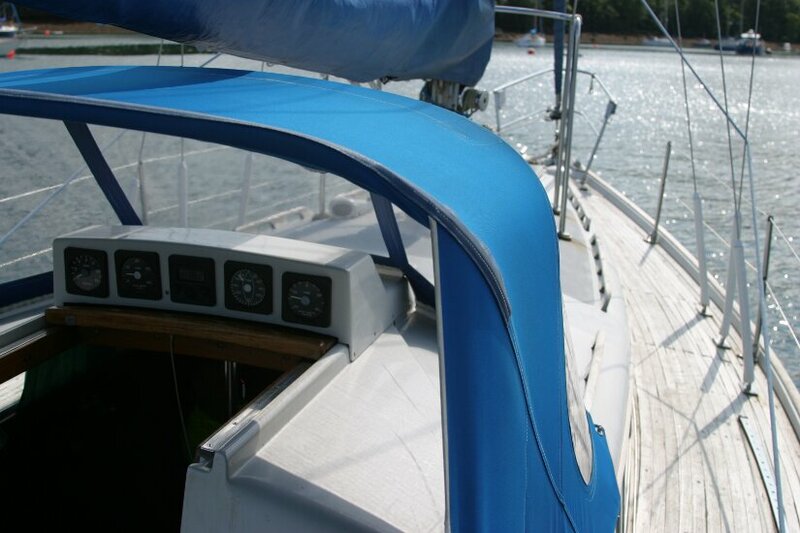 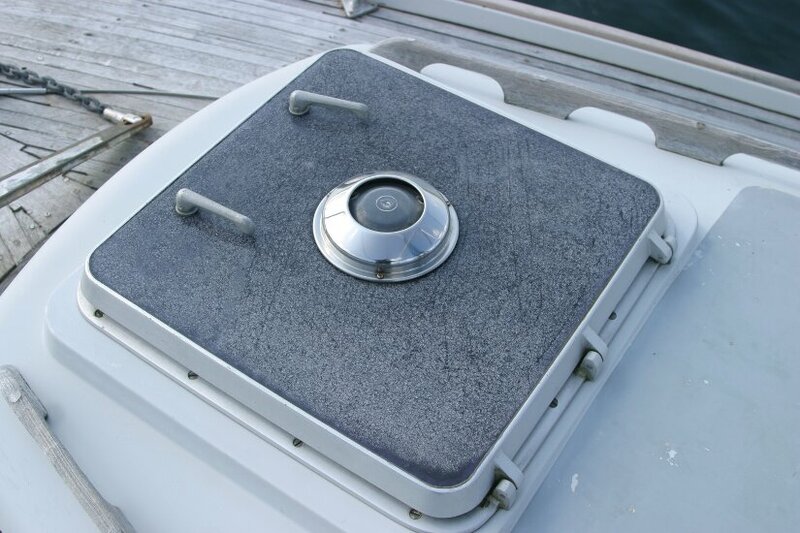 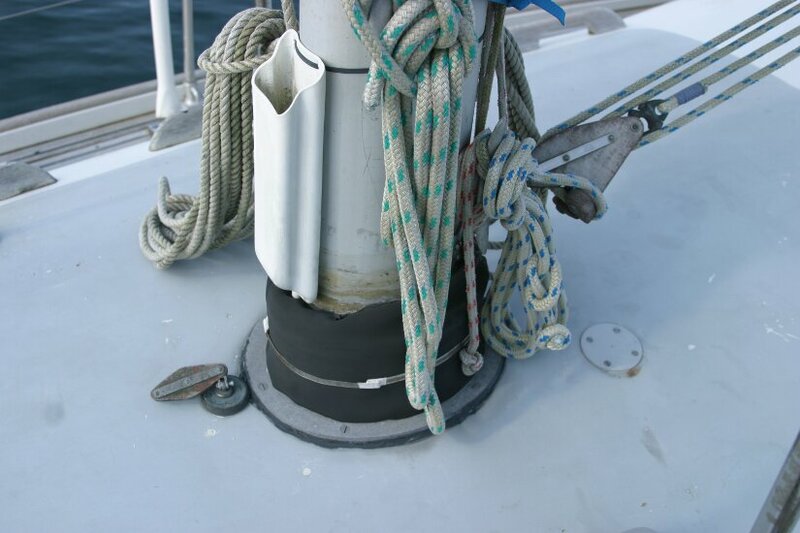 The decks are constructed of GRP with a GRP headliner. 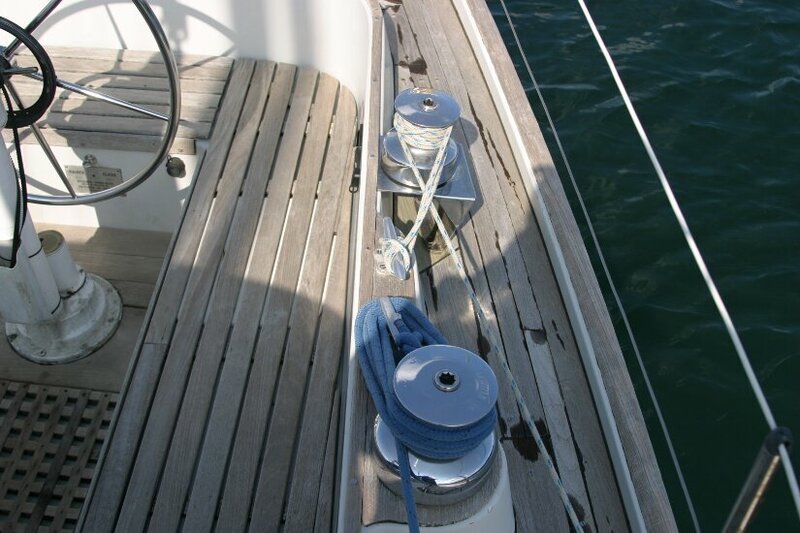 The teak decking is screwed and glued to the outer grp with no sign of water leakage. 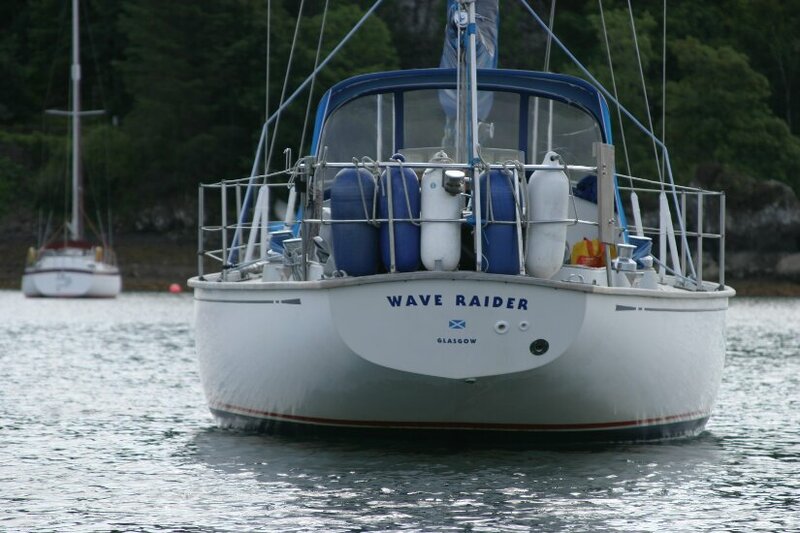 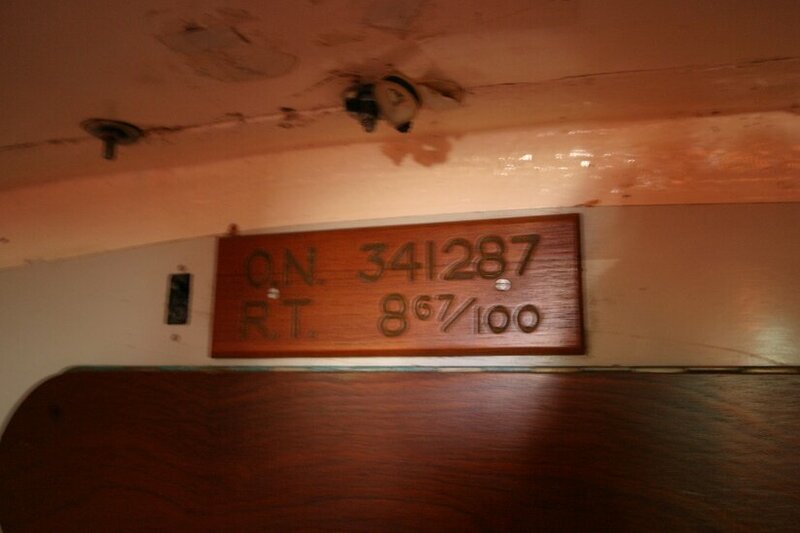 This boat is no longer for sale and remains here solely as an information resource for those researching Raider 35's.